Jasmine Lara scoops up a ball in the outfield. IOWA CITY, IA. 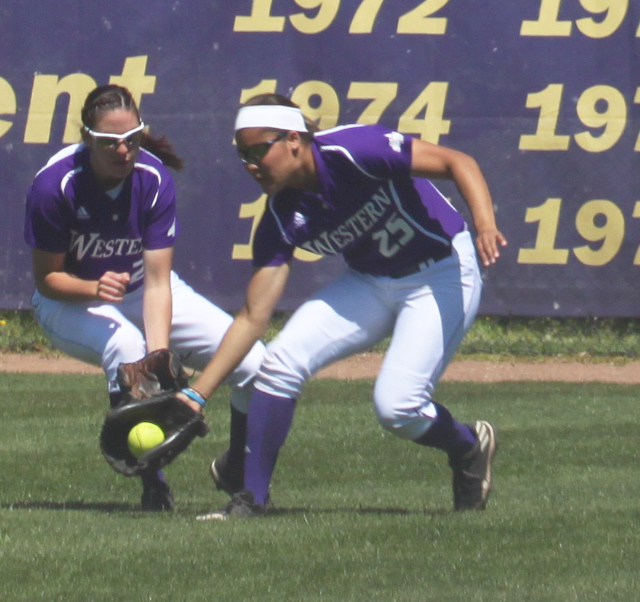 — The Western Illinois softball team was supposed to play Iowa State University but the double-header set for Saturday was cancelled due to inclement weather. The Leathernecks are currently 13-22 on the season and 6-0 in Summit League play. They are currently on a six-game winning streak. The next game for the Purple and Gold is set for Tuesday against the University of Iowa. They will hit the road once again and play in Iowa City. Their first pitch is set for 7 p.m. The Hawkeyes are 19-21 on the season and 5-8 in conference. They are on a four-game losing streak. This season they have faced ranked teams such as the University of Michigan, Arizona State University and Baylor University. The offensive leader for the Hawkeyes is junior pitcher Malllory Killian at .297. She has 20 hits and 15 RBIs on the season. Next is senior outfielder Allie Wood with a batting average of .284, following her is freshman utility Aralee Bogar at .276. The leading pitcher for Iowa is sophomore pitcher Allison Doocy who has an ERA of 1.54. Leading the Leathernecks offensively is junior infielder Hailey Duwa with a .369 batting average, she has 38 hits and 24 RBIs on the season. Behind her is sophomore outfielder Jasmine Lara with a batting average of .324, Lara has 34 hits and seven RBIs. 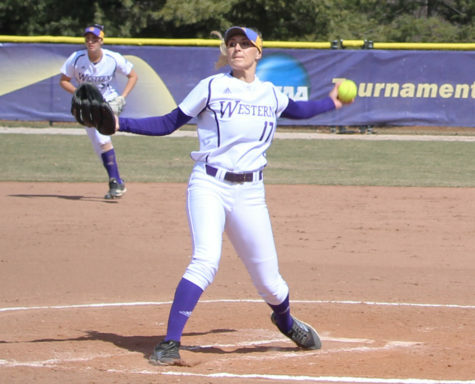 As for pitching, junior pitcher Emily Ira leads for Western Illinois with an ERA of 3.59. Following this game against Iowa, the Leathernecks will continue Summit League play and face the University of Nebraska- Omaha at home. Currently the Purple and Gold sits atop the conference. South Dakota State University is in second with a 5-3 conference record followed by North Dakota State University in third at 2-2 on conference. 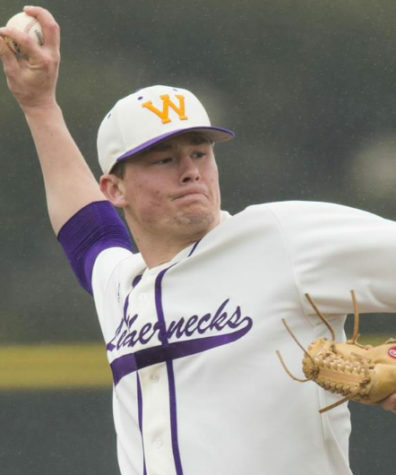 Last year, Western Illinois fell to Indiana University-Purdue University Fort Wayne and North Dakota State to end their tournament run. As of now, conference play is looking good for the Leathernecks. They still have three more Summit League series games left to play until the tournament in early May.